UD Botanic Gardens contributes to an understanding of the changing relationships between plants and people through education, extension, research, and community support. Education is a critical part of the mission of UD Botanic Gardens. 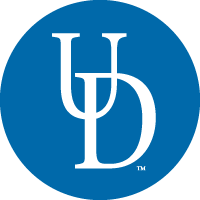 UD Botanic Gardens is a research center, a laboratory, and a classroom in which studies in plant biology, botany, plant pathology, landscape design, ornamental horticulture, and entomology are pursued through experiential learning. It also maintains a diverse and dynamic living plant collection that stimulates and engages, with more than 3,000 species and cultivars of perennials, shrubs, and trees. We work hard to promote an understanding and appreciation of plants in the landscape and natural environment. Establish a University teaching garden and simultaneously a garden for public inspiration and enrichment. Create a University of Delaware gathering place for welcoming and engaging the Community in a visible way. Become a recognized public garden in the Delaware Valley.